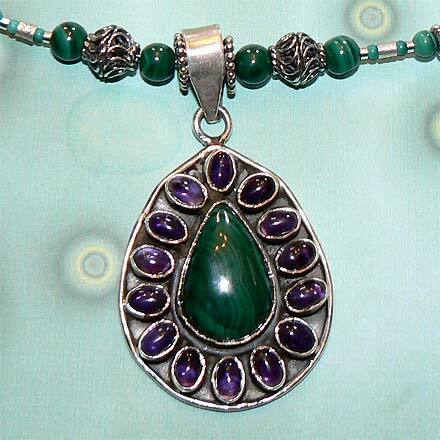 Sterling Silver Malachite and Amethyst Necklace. See Closeup. 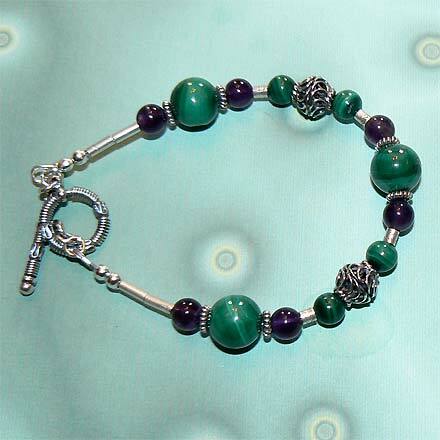 Sterling Silver Malachite and Amethyst Bracelet. 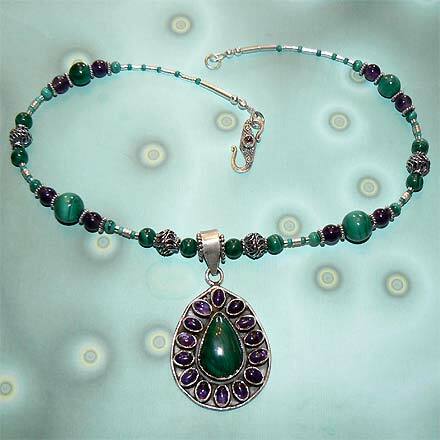 I love these deep, velvety, sophisticated colors of green Malachite and purple Amethyst. Accented with wired Bali beads, the choker-length necklace has a lovely teardrop-shaped pendant of Malachite surrounded by Amethyst, plus an Amethyst clasp.